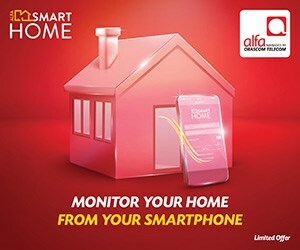 Customer satisfaction is everyone’s priority at Alfa every day! We appreciate your time in filling out our website survey. Subscribe now and get a free router! You can now benefit from a super fast internet connection that can be used at your home or office, at a discounted price up to 45%. +961Alfa is a mobile application enabling the Lebanese diaspora community around the world to own a Lebanese number to call their family and friends in Lebanon from wherever they are. 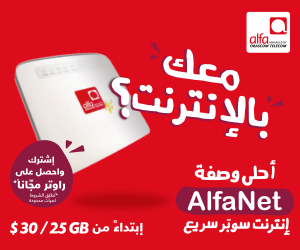 Stay online anywhere you land With the Alfa Data Traveler pocket-size portable 4G router. 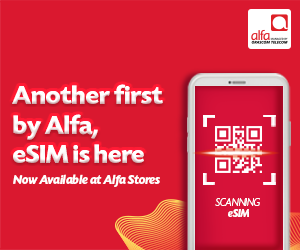 Another first by Alfa, eSIM is now available at our stores! eSIM is the latest technology in SIM cards. It allows you to activate a mobile number without having to use a physical SIM.